Extreme Camping – The Most Dangerous Campsite in the World! Camping was one of my favourite activities as a child. I grew up in Africa, and we would spend the summer holidays visiting family in my native country of Holland and going camping for at least four weeks – usually somewhere in France. Camping was fantastic! We use to go to these little campsites with little rivers and I would find tadpoles and let them grow during our holiday. As I grew up, however, I started to enjoy the comfort of luxury a little bit more and my hubby introduced me to glamping. Pretty cool, but it soon transpired that it was not luxury that I felt was missing from camping. It was something else. I have also always been well into extreme sports, particularly diving, rock climbing and caving. The latter of these meant I would still spend quite a bit of time camping, but more out of necessity than out of fun. On one of my most recent extreme sports expeditions, however, I was speaking to one of my fellow cavers and was asking what it was that just didn’t make camping exciting anymore. He then told me I should try my hand at extreme camping. It wasn’t quite clear to me what extreme camping was, but he explained that many people now enjoy it, particularly those who enjoy the mountains and rock climbing. Sounded right up my street! I came across an article about a group of people who went climbing in the Arctic. 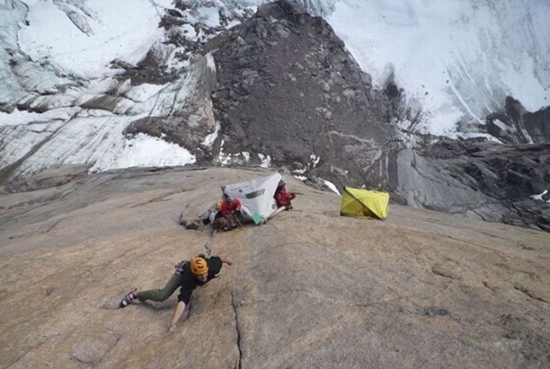 Those climbs took several weeks and they found themselves having to camp on a 4,000ft cliff side. 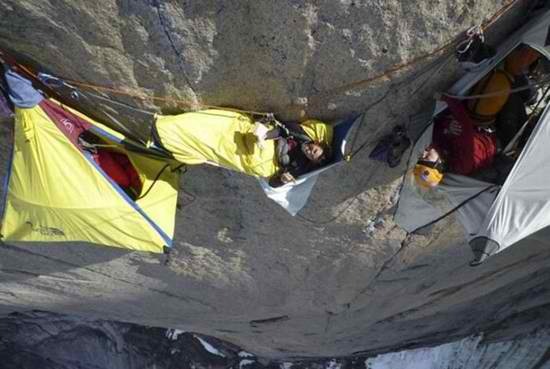 They literally suspended their tents and camping equipment from climbing ropes and spent the night there! 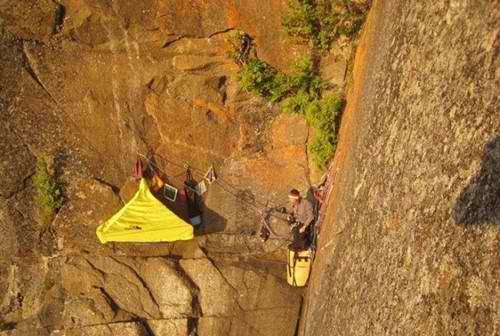 That had to be by far the most extreme campsite in the world. Thermal sleeping bags – it can get seriously cold in the mountains. It’s a good idea to invest in the best camping blankets too! Lip balm, sunglasses and a hat – the sun can also burn a lot in those mountains! It truly was the most amazing experience I have ever had! First, we had to climb up the cliff side to find a spot that we would enjoy. We went in the best possible season, meaning there was little chance of extreme weather – make sure you check ahead if you’re planning on going mountain camping – and had the most mesmerising views of the valley. I got in touch with my girly side, and ended up picking mountain flowers, pretending I was an extra in the Sound of Music or something of the sorts! But we also got involved in other things that are so specific to mountains. Of course, we went rock climbing – every time we wanted to reach our tent or do an activity, we would have to go rock climbing – but we also went horse riding as well as going for long walks. As it was spring time, the winter snows were melting and we got to see the most beautiful waterfalls. It really was an amazing experience! I really found that extreme mountain camping was what I was missing all along. Imagine taking part in an extreme sport, any of the extreme sports that you can read about on this website will do. The adrenaline is pumping through your body, you are on edge and living life to the max. And then the anticlimax: your activity is over and you sit around a campsite toasting chestnuts in the fire. It’s all very nice, and I enjoy a sing along around a fire and a scary story as much as the next person, but it remains an anticlimax. I regularly find myself unable to sleep, as it all seems so mundane. Mountain camping, on the other hand, combines the best of both worlds. There are so many extreme sports that you can do in the mountains: BASE jumping, rock climbing, cliff diving and so on. To be able to finish off a day of that by staying in the extreme sports is so amazing! The best day for me was when we went horse riding through the valley and then we found this little lake with the most beautiful waterfall ever. My hubby decided to cliff dive off the waterfall and we spent the rest of the day swimming in the icy cold water, trying to discover whether there was anything hidden behind the waterfall (once a caver, always a caver!). Then we went back on our horses to our mountain campsite, did a spot of rock climbing and watched the sun go down whilst being elevated and hanging from nothing but our climbing ropes. I’m not ready to tackle the Arctic, but there’s no need to go that far afield to go mountain camping. As this extreme sport becomes more popular, more and more locations are catering for it. The most important tip is to look out for the weather, the last thing you want is to be caught in a storm or an avalanche whilst you’re hanging off a cliff side of course. But it was clear to me: I had found the way to combine my love for extreme sports and to bring something new to camping. It really gave me back that feeling I had as a child of being one with nature, truly being secluded and away from civilisation, the essence of camping, basically. Combined with my love for extreme sports, there is no better holiday for me than mountain climbing! And for once, I didn’t go on Amazon after my experience to sell my stuff, this time I’m keeping it for my next mountain camping adventure. 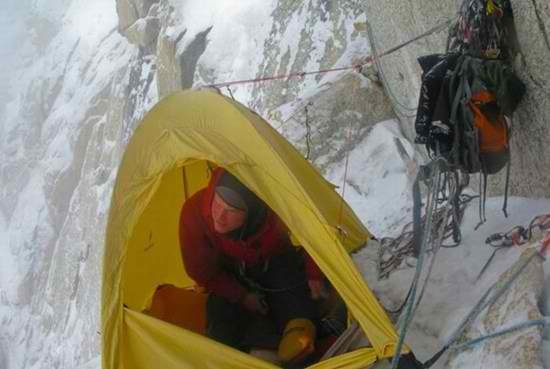 This entry was posted in Bizarre, Extreme Camping and tagged extreme camping, mountain camping. Bookmark the permalink.